Do you sometimes wonder where all the old and worn out sneakers/shoes end up after use, in land-fills, because of the adhesive used to make them they cannot be recycled. 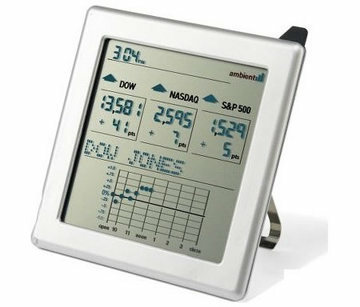 Well, with everyone going-green this may become a problem of the past. 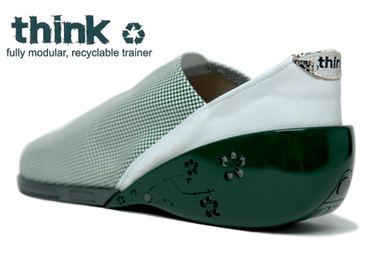 ‘Think’ is a trainer shoe concept that uses mechanical locks instead of adhesives. 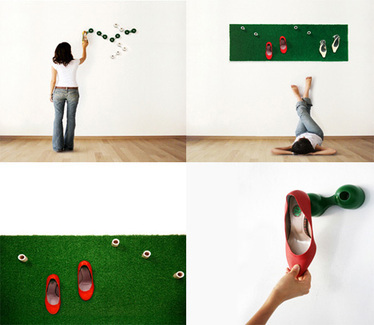 Each part of the shoe can be removed, and can also be recycled. To encourage recycling, retailers would offer a take back scheme, where customers would get special discounts on their purchase after returning an old part of the shoe. 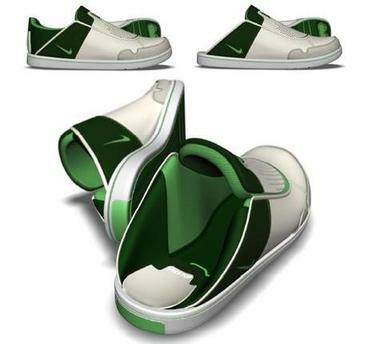 The shoe would be a self-assembly, and would come with three variants for each part, giving you a choice. 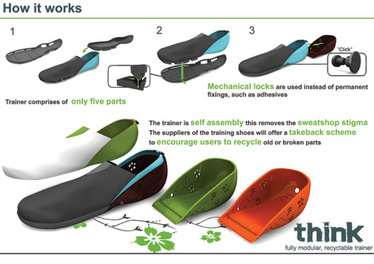 Overall the ‘Think’ concept would eliminate sweat shops and child labour, because the shoe is a self assemble. 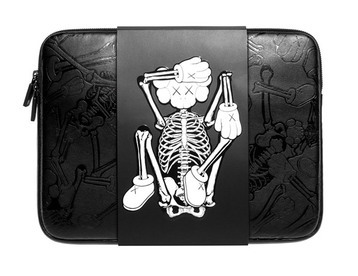 To mark the first anniversary of their store in Aoyama district of Tokyo, Original Fake has collaborated with Los Angeles art magazine Arkitip,and renowned artist KAWS to produce this special Incase custom laptop sleeve. The sleeve also serves as the packaging for the upcoming special anniversary issue of Arkitip magazine available from July 15th. Subscription to Arkitip Magazine doesn’t come cheap: Half a year (3 issues) is $75.00 and 1 year (6 issues) is $130.00. Just like the iPod, apples’ iPhone will create a lot of opportunities, and demand for iPhone’s accessories. 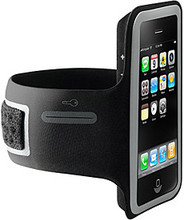 To keep up with the demand Belkin, has unleashed a Sport Armband for apples’ newest member of the family. The armband is hand washable, water resistant, has a Velcro closure system, protects iPhone’s touch screen, and features lightweight and flexible neoprene construction. 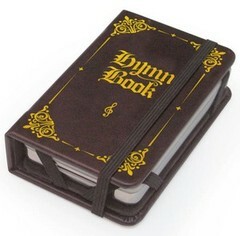 Did I mention that it also comes with Belkin life warranty. ‘Its like you won’t have any pockets, while running or you will be naked, because the armband is equipped with a key pocket to hold your house key. Huh..all you need in your life is a house and an iPhone. If you hate your typical loud blaring alarm, then hope and pray that this Alarming Ring from designer Meng Fandi is more than just a concept. 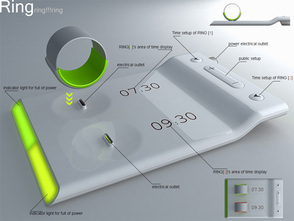 The charging cradle is where you set what time you want the ring(s) to go off. 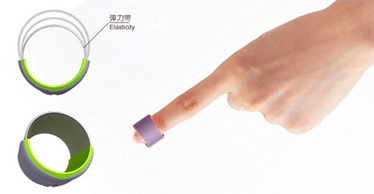 Just put the ring on the tip of your finger, and when time comes, the ring vibrates until you wake up and put it back on the charging cradle to turn it off. 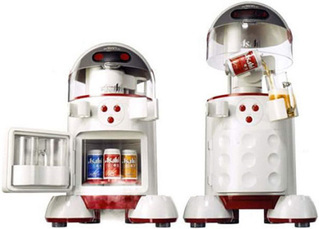 Ideal for couples who wake up at different hours. No more disturbing each other when ones’ alarm goes off. People with impaired hearing can also use it to improve their quality of life.